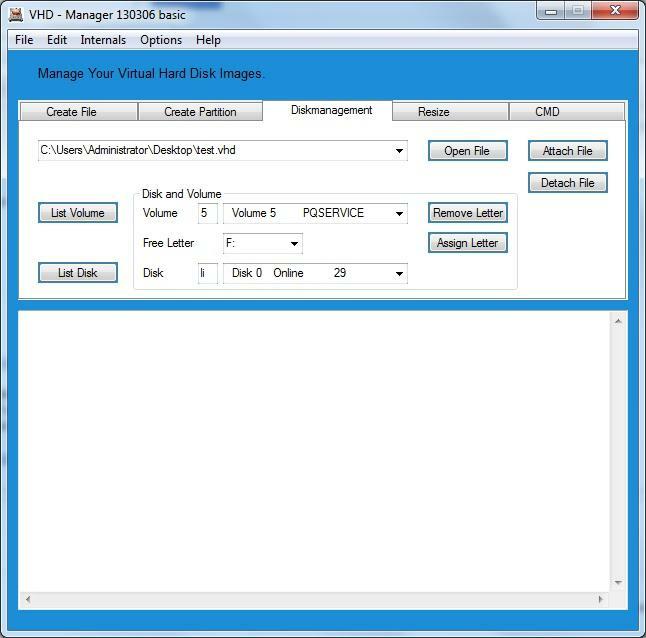 you might need a tool to create and manage VHD files. The VHD-Manager is designed to do this job for you. All VHD related processes should be handled. The VHD-Manager uses DISKPART commandline to get things done. The current version is tested on Win7x64 lang=de. If you have success with other language, please leave a little comment. In Create Partition, Compress is ticked by default, would grub4dos work if the VHD was made with Compress ticked? Better for default to be unticked? If I select Disk 1 (the vhd) and click List Disk, disk 0 is listed. sorry i had to edit my post in the meantime. can you pls post dsk.txt to download? Copyright © 1999-2008 Microsoft Corporation. this is an language issue, (diskpart output), I am working on a solution. Besides the obvious usefulness for this nice utility I guess it should be specified somewhere how grub4dos does not support any kind of .vhd image which is not a "static" one i.e. a RAW image with the "Connectix descriptive sector" appended. In other words, grub4dos supports only RAW images and coincidentally a "static" .vhd is actually a RAW image with a sector appended to it (which is ignored by grub4dos). is a "general" tool to make images, copy disks/partitions, and a few other functions, including bi-directional RAW<-->VHD conversion. allows to convert from "static" OR "dinamic" VHD to RAW. I recently updated to version 130307.